Aranmula Kannadi is a very special type of metal mirror produced only in Aranmula, a village in the state of Kerala in India. 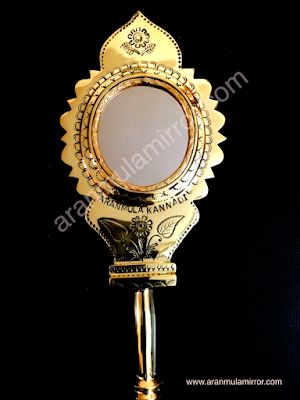 Aranmula metal mirror is a precious inherited gift. The mystery of its production is a family gift handed over through generations. Indeed, the ancient art of making metal mirrors is still practiced, without modification, by a few family-based artisans in Aranmula.The manufacture of Aranmula Kannadi has been a zealously guarded secret of a handful of these surviving artisans.